This is a superb tantô by one of the top smiths of the Sue Bizen era of the Muromachi period. It is by the Nidai (second generation) smith, Yosazaemonjô Sukesada. His father, the first generation, is considered to be the top Bizen smith of this time period and is rated as Saijô Saku. 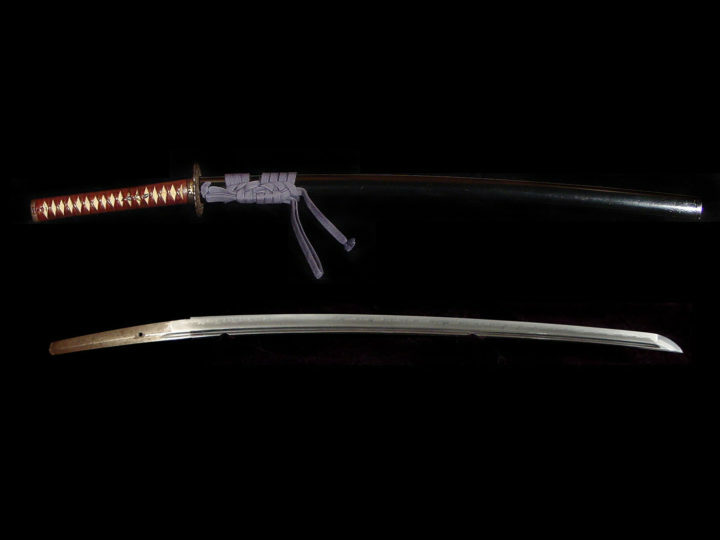 The Nidai, who made this sword, is also highly rated as a Jôjô Saku smith. This tantô is dated as being made in the second year of Genki (元亀) or 1571 so it is definitely the work of the second generation. He is thought to have started working around the Tenmon (天文) era (1532) and ended working around Tensho (天正) era (1573). That would mean that this tantô was made around the end of his career. 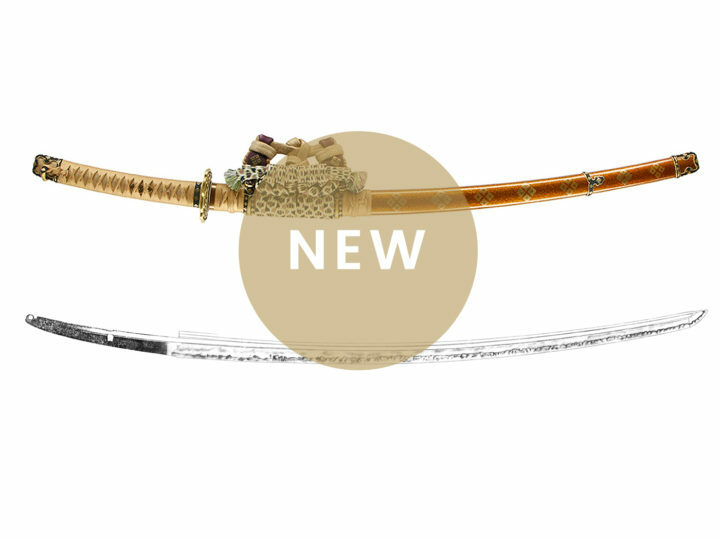 For more information about these smiths, please refer to the following article: Yosazaemonjô Sukesada. 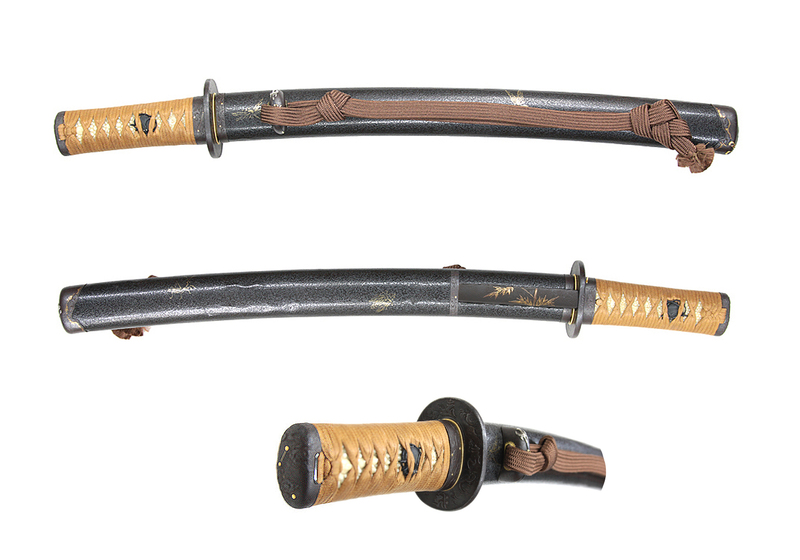 While it is popularly believed that all of the swords made during this period of constant warfare were mass produced swords of low quality, that would be a mistake. 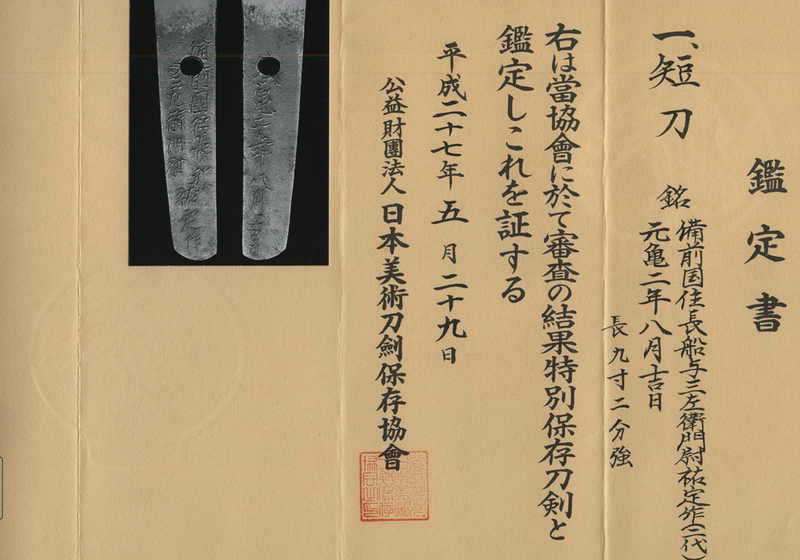 Among the blades of the Sue-koto (末古刀) period, there are a large number of what are known as chumon-uchi blades. 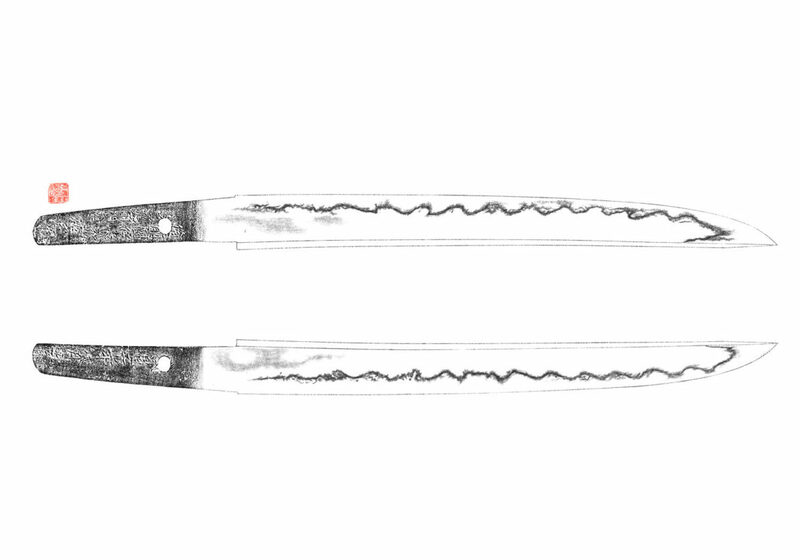 These were special ordered blades often having inscriptions of the person ordering the blade. 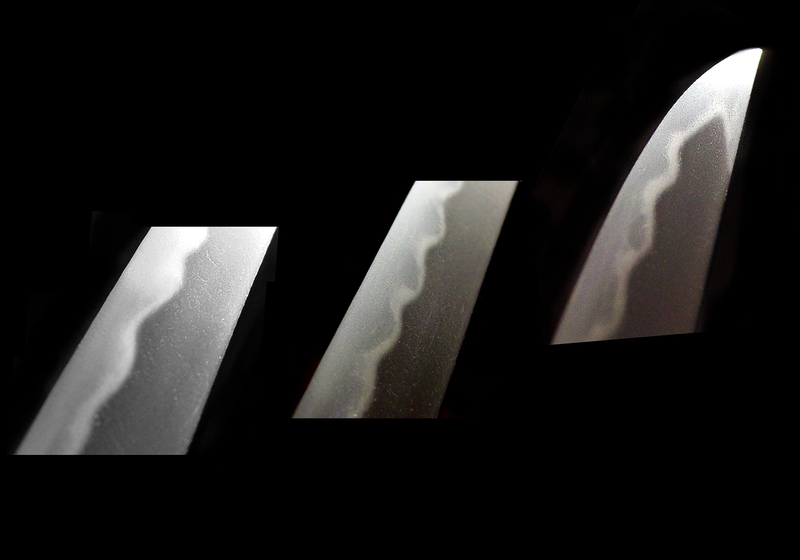 Additionally, these carefully crafted blades are signed differently than are the mass produced blades (kazu-uchi mono). They are signed by the smith using the kanji, “Bizen no Kuni Jû” (備前國住) followed by his full given name and they are usually dated. 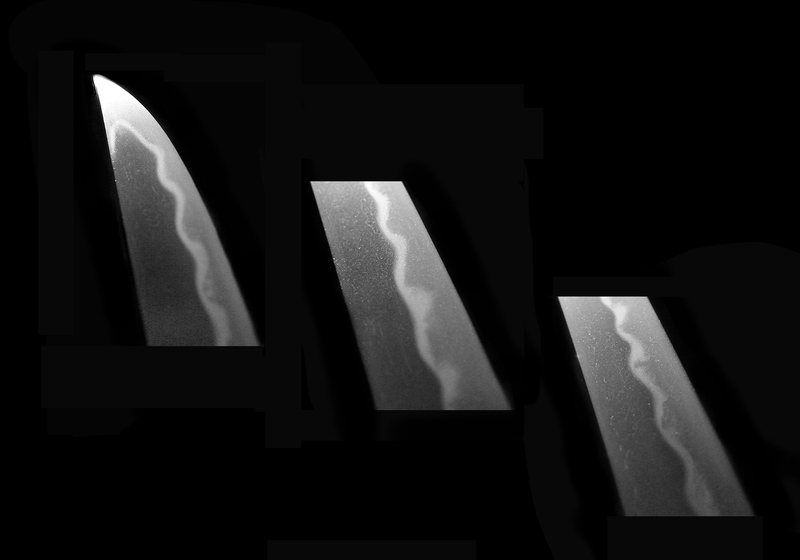 When a blade has the full name of the smith, it is called a zokumyo blade. 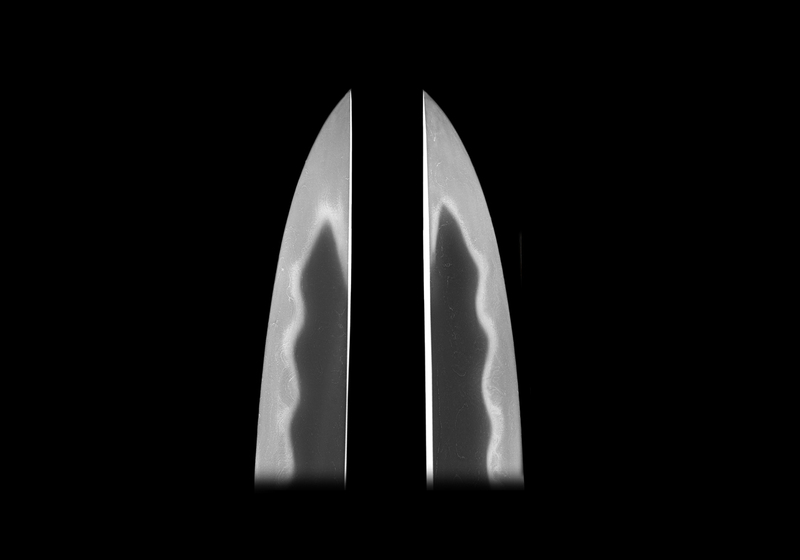 While there are a good many zokumyo katana, zokumyo tantô are much more rare and difficult to find. 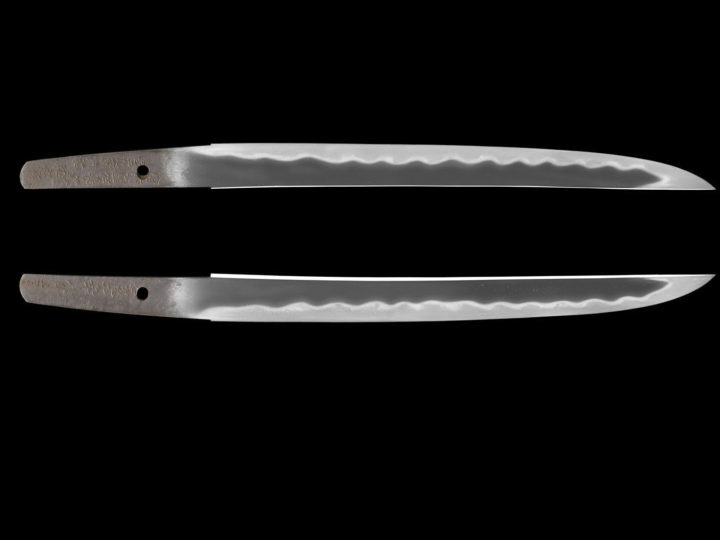 This tantô is one such blade. 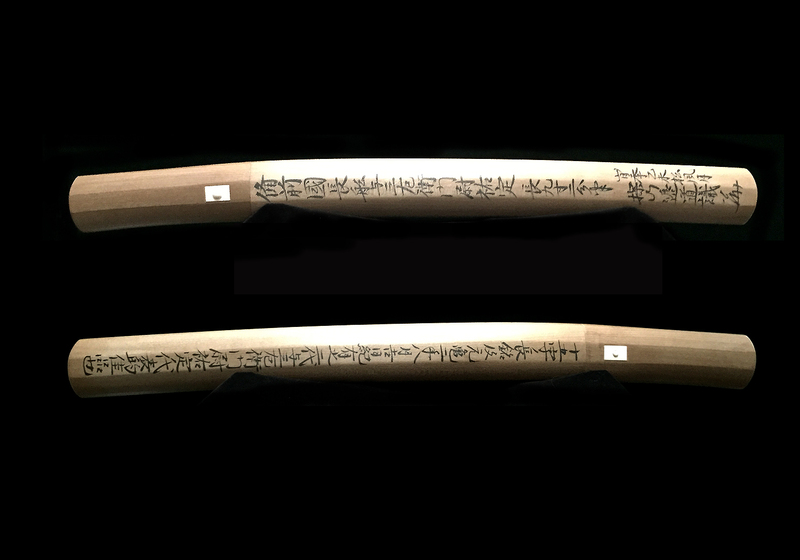 This tantô is signed Bizen (no) Kuni Jû Osafune Yosazaemonjô Sukesada saku (備前国住長船与三左衛門尉佐定作). It is dated Genki ninen hachi-gatsu kichi nichi (元亀二年八月吉日). This translates as, “made on a lucky day in August of 1571”. The nagasa of this tantô is 11.02 inches or 28.0 cm. The sori is very slight being only 0.07 inches or 0.2 cm. 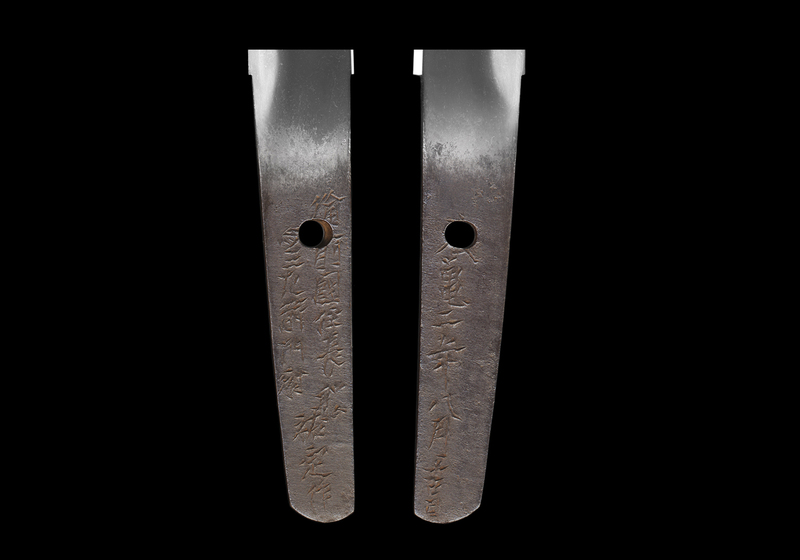 The width at the moto-haba is 1.01 inches or 2.58 cm and the kasane is 0.21 inches or 0.54 cm. 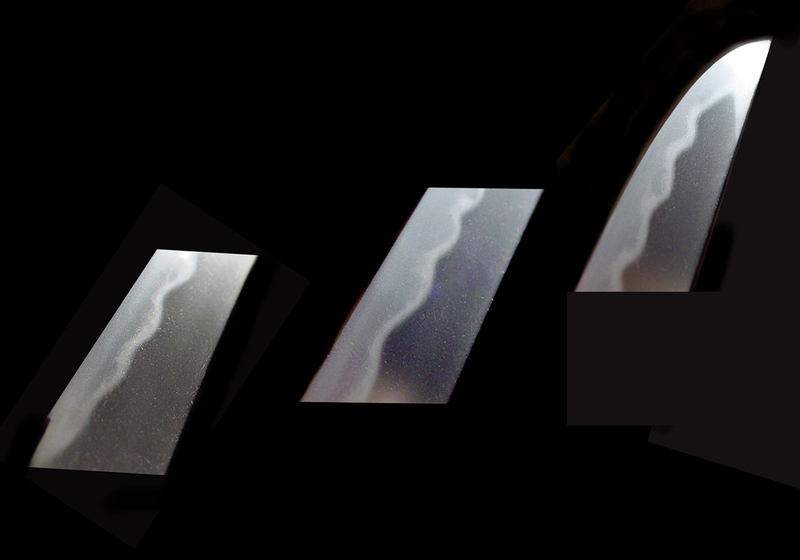 The blade is wide and healthy with a very pleasing shape. 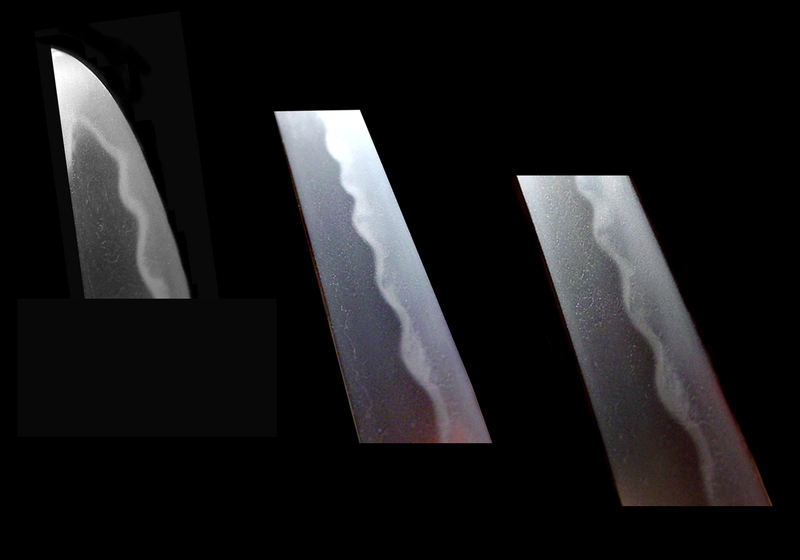 The jitetsu is a mixture of ko-itame and ko-mokume hada with ji-nie present. 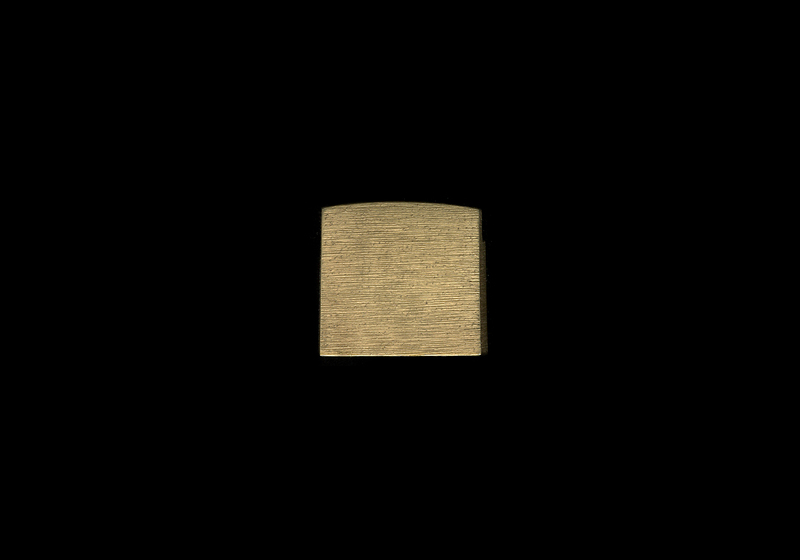 There is a slight utsuri on both sides. 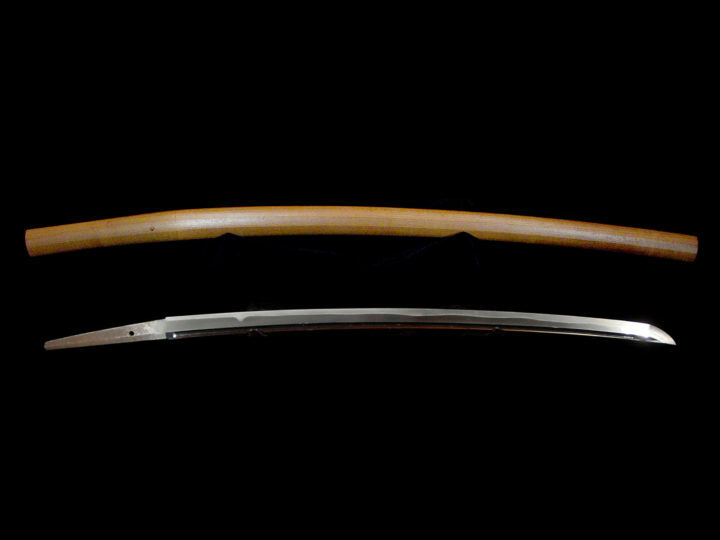 The hamon is a good example of the koshi biraki midare for which the first and second generations were famous. There are ashi and yô present. The polish is excellent and the blade has no flaws or problems, especially for a blade that is almost 450 years old. The nakago is beautiful with only one mekugi ana with the long signature and date both being crisp and clear. This blade comes in a very nice shirasaya with a sayagaki by Tanobe sensei and a beautiful gold wrapped habaki. It was awarded Tokubetsu Hozon papers by the NBTHK. 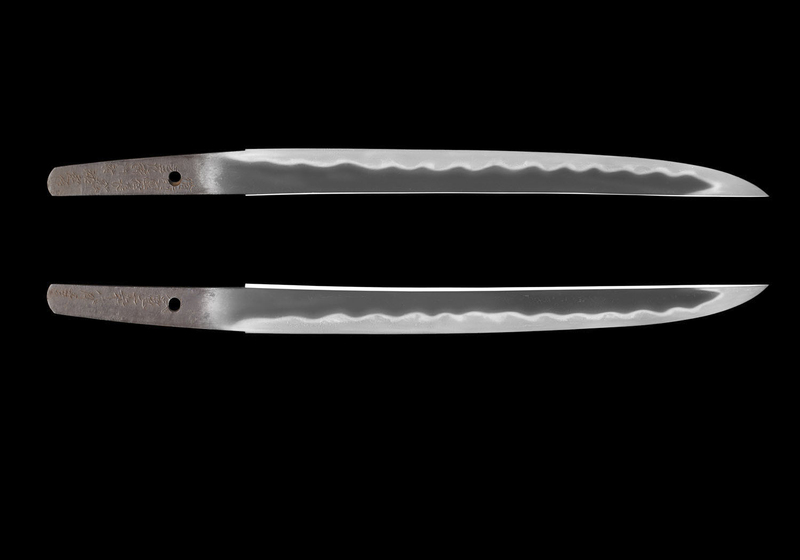 This blade also comes with a fine Issaku koshirae. 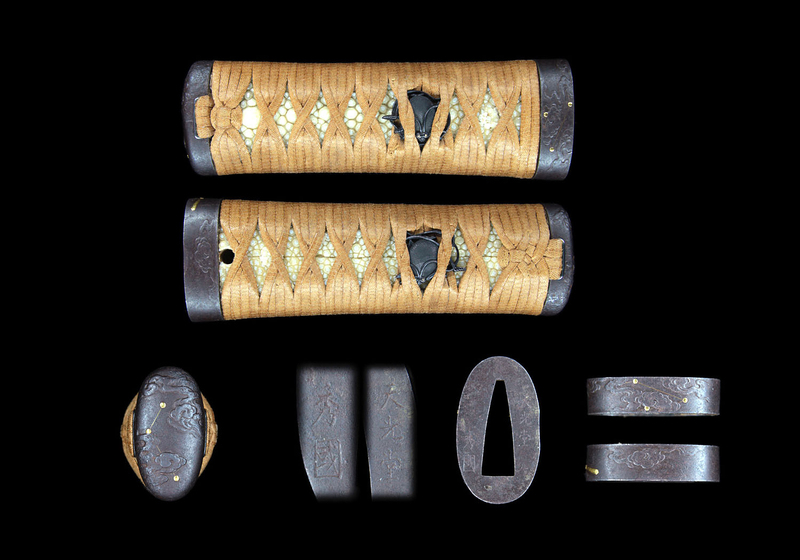 The tsuba and the fuchi are both signed Tenkôdô HIdekuni. Hidekuni’s family name was Kawarabayashi. He was born in Kyôto on March 10, 1825 and he died on September 27th, 1891. In his youth, he was an assistant carver for the Nakagawa school. Later he became the student and son-in-law of Kawarabayashi Hideoki and he eventually succeeded him to become the second master of the school. His carving is thought to have a more delicate feeling than that of his teacher, Hideoki. 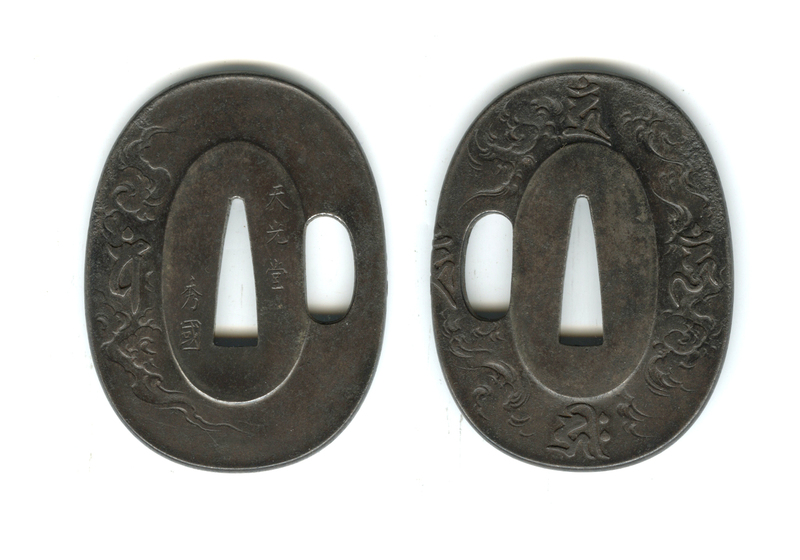 The tsuba is oval in shape and carved with clouds and bonji characters. The fuchi and kashira have clouds and constellations carved very delicately. The menuki are shakudo and gold crickets. 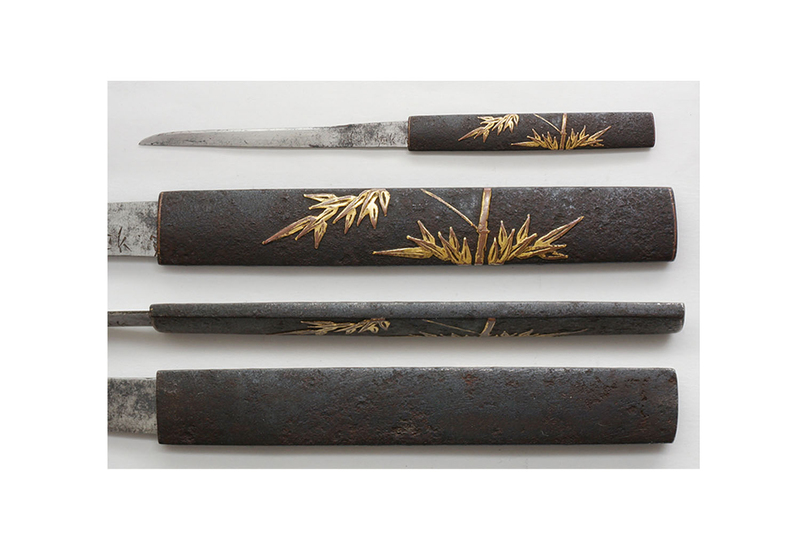 The kozuka is iron with bamboo done in gold washed copper inlay. 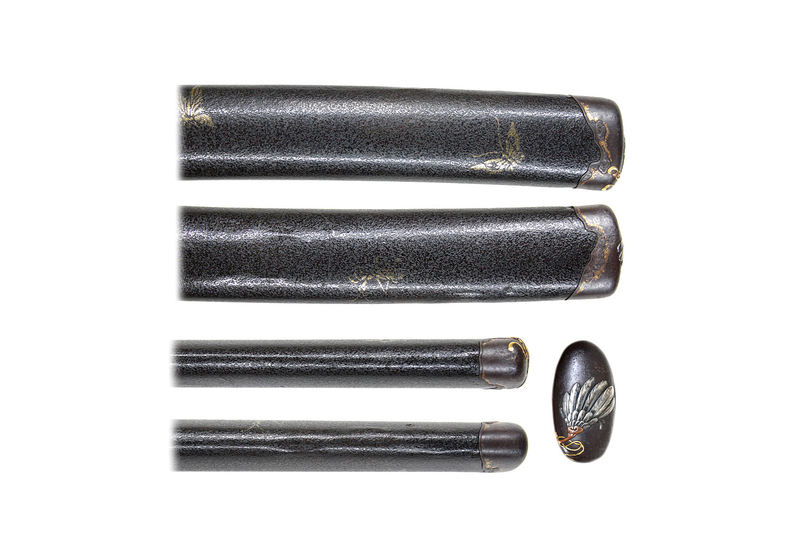 The saya is black ishimeji lacquer with a butterfly, dragonfly, bee, and other insects in gold. 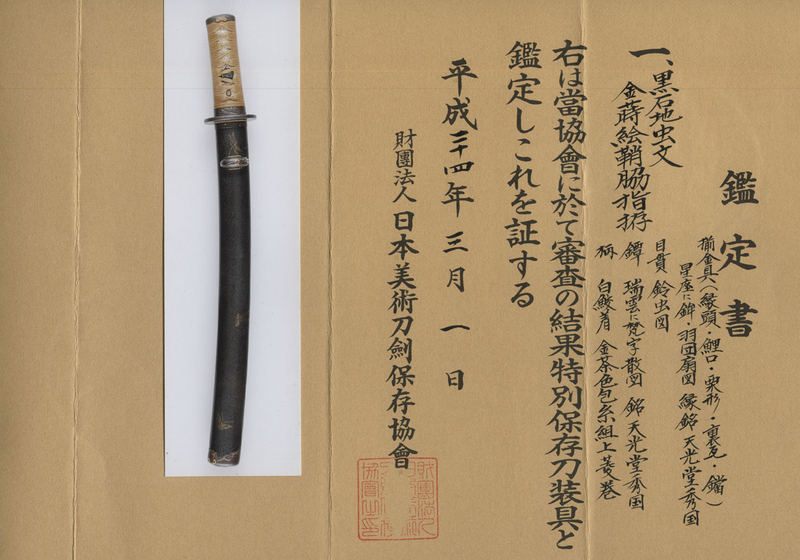 This koshirae was also awarded Tokubetsu Hozon papers by the NBTHK.